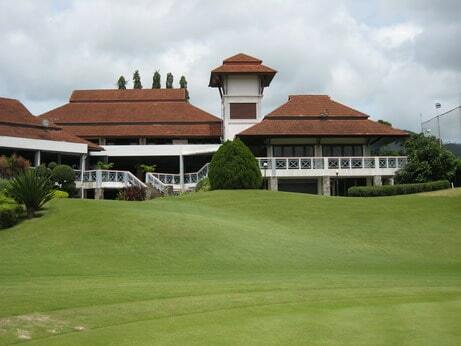 Phuket Country Club&apos;s Old Course was the first championship standard 18-hole golf course built on Phuket Island. It is located almost in the center of Phuket and reached from any of the main beach and hotel areas. 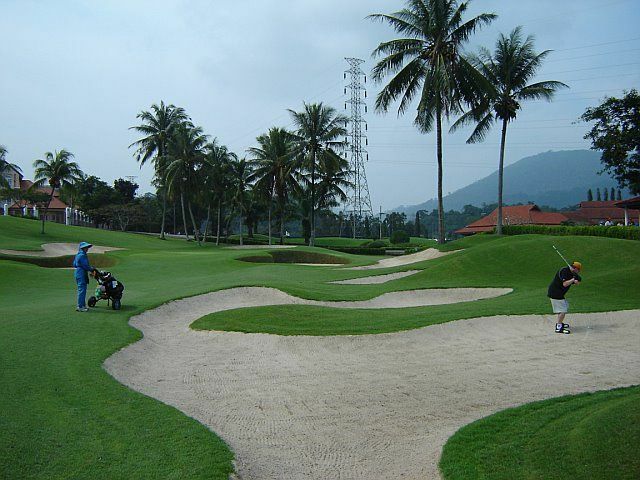 The Phuket golf course is set in a valley with the golf course meandering through hills and limestone cliffs and traversing three distinct environments (6 holes in undulating hills, six holes on the level and six holes through landscape forest). The layout gets off to a reasonably challenging start, with the front nine providing some of the most undulating and testing holes. Soring requires precise drives on these holes. The back-to-back short par-4’s at 6 and 7, are both played from elevated tees set right at the edge of the jungle. The slightly more open and flatter back-nine introduces the first water hazard of any significance at the par-5, 557 yards, 10th, and what an introduction it is. 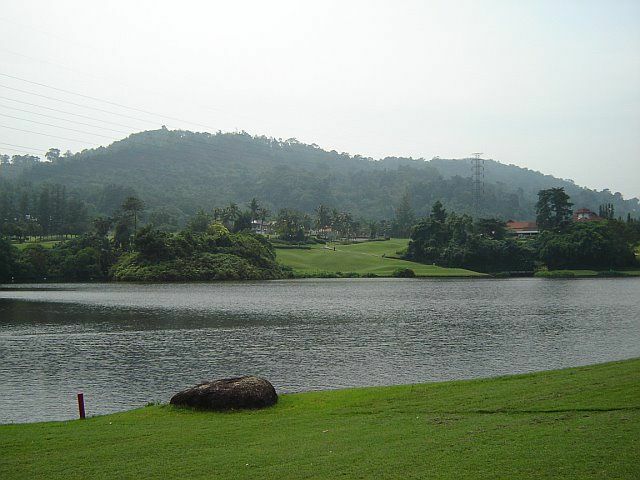 The most famous golf hole in all Phuket, the 10th, from an elevated tee box, makes it&apos;s way 180 degrees around a u-shaped fairway laid out around a large lake. It&apos;s up to each golfer how much of the water hazard to bite off. Long hitters can go straight for the green, with an albatross or a hole-in-one a possibility. Love it or hate it, this hole is undoubtedly different and claims dozens of balls daily. Water is also notable at the short par-4 16th and again at the island green par-3 17th, one of the best short holes in Phuket. 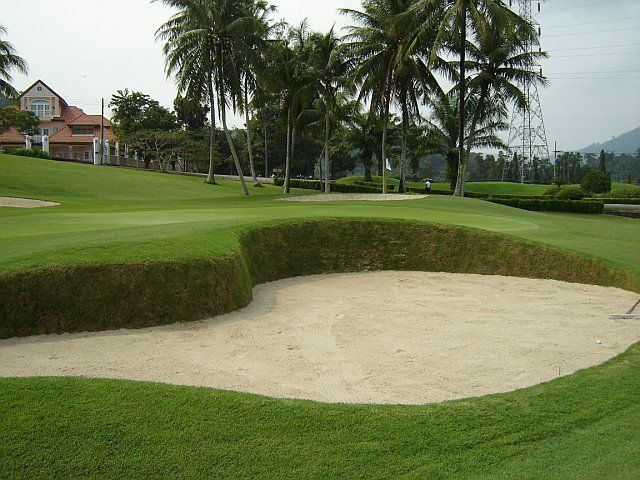 An excellent array of straight-faced pot bunkers guard several greens, while the more open fairway bunkers provide clear indications of where to drive from the tee. The clubhouse and facilities are extensive, but have seen better days in the past and require some renovations to bring them up to the standard set by the golf course. 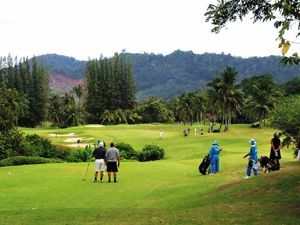 Nevertheless, all the practice areas are open to the public, and they may be the most comprehensive golf training facility on Phuket island. 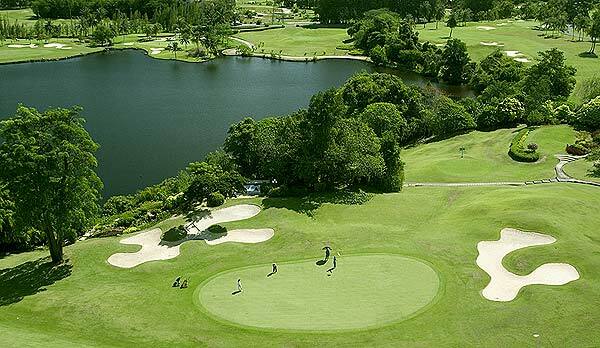 The beauty and elegance of the course, together with the typical Thai charm and hospitality in the clubhouse guarantees all golfing at Phuket Country Club a truly memorable occasion. 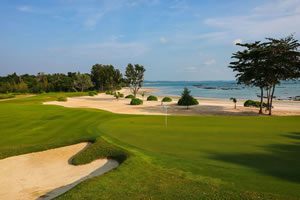 The new 9-hole course is typically reserved for members or played by those who only have a few hours for golf during their Phuket holiday. 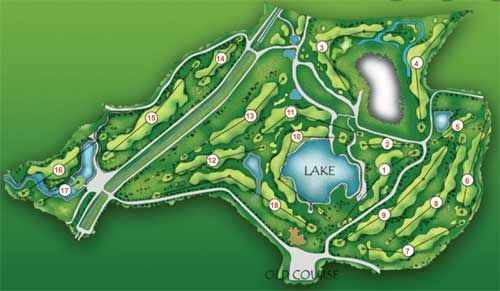 It opened as a par 34, but a few years back a new layout was implemented making the course into a full 9-hole, par 36. 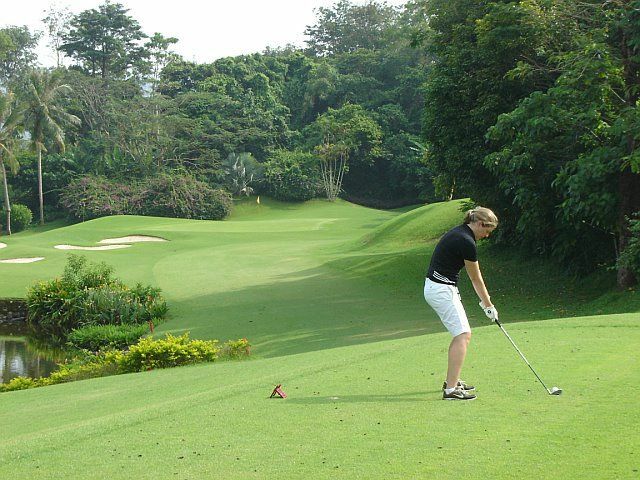 The 9-hole course is also used as the back nine to the Old Course 2 times a month, every other Wednesday, when nine holes of the old course undergo maintenance. 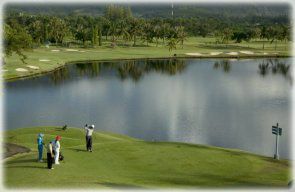 Have you played golf at the Phuket Country Club and took some nice photos that you would like to share with other golfers? Send them to us and we may upload them here. Thank you in advance! I golfed here in March and had a really great time with my buddies. The caddies are first class and the golf course condition couldn't be better!! 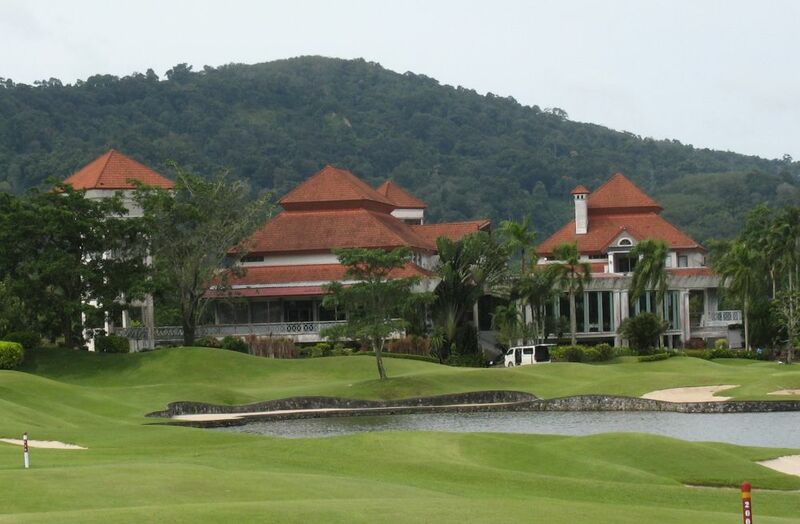 Beautiful setting and the course was in good condition. This course keeps you on your toes, a good thinking course and we had a very enjoyable day. 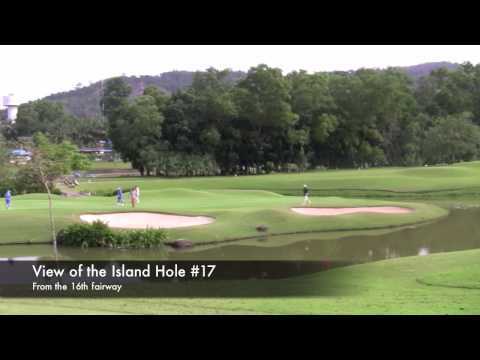 A lovely winding golf course that is in the middle of the Island. 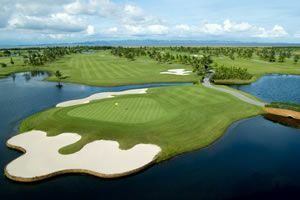 It has a bite with undulating fairways so is a good challenge as well as a nice walk. Well maintained. Thank you for organising a great trip.